3 Bedroom Detached House For Sale in Honiton for Asking Price £575,000. 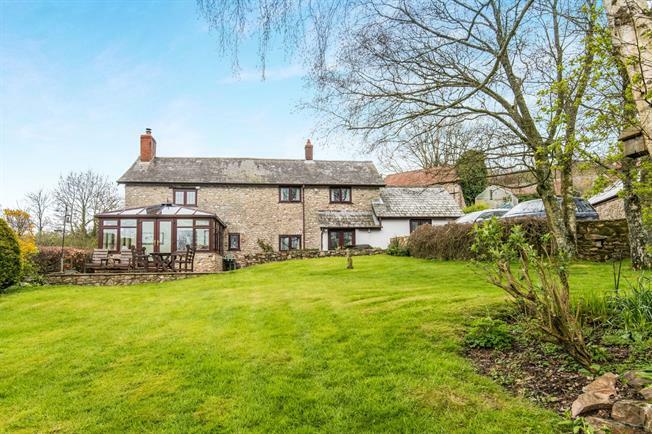 A three bedroom detached cottage in the country is offered to the market with far reaching countryside views, large garden, stables and a paddock. The property comprises of WC, Kitchen with breakfast area and separate dining room, reception room with a multi-fuel burner with doors leading into the conservatory. To the upstairs there is a main family bathroom, and three double bedrooms with potential space to create an en-suite. Outside there is a drive and garage with the garden mainly laid to lawn with a patio area and a gate leading to the stables and one acre of paddock.